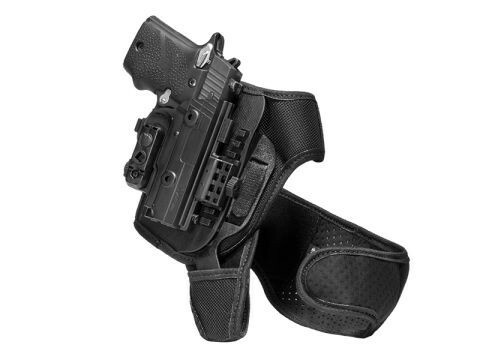 Carrying with a Springfield XD Subcompact ankle holster would require a better breed of ankle holster to pull it off. 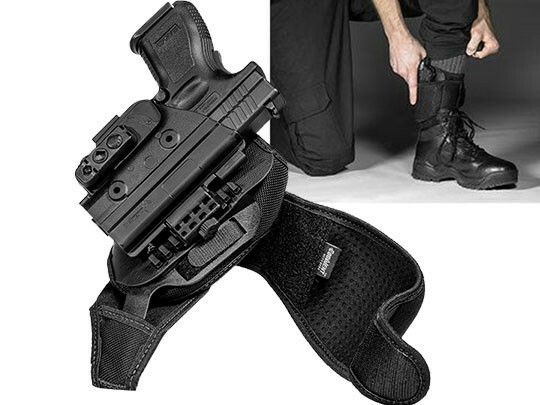 Most are designed to work only with mouse guns, so carrying even a lighter compact such as the Springfield XD becomes a bit more tenuous...unless you have an ankle holster that's designed to carry any pistol well. 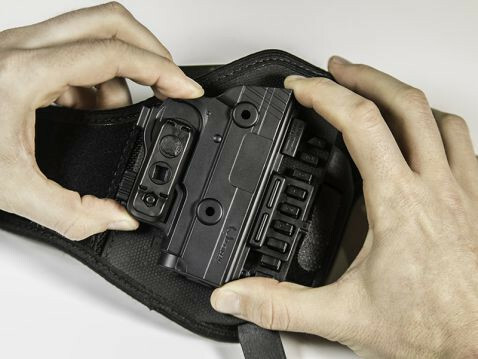 A quality ankle holster for XD Subcompact pistols will be able to carry securely, comfortably and without sacrificing an iota on fitment and retention. 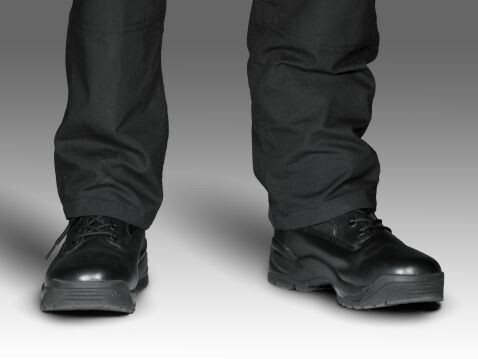 A lot of ankle holsters out there compromise on at least one of these aspects. Here at Alien Gear, we don't do compromise. We only make quality carry holsters, that are designed to carry well. That is just the type of XD ankle holster we have. The strapping gives you both vertical and horizontal stability, with a two-piece strap design featuring an ankle wrap and heel strap. 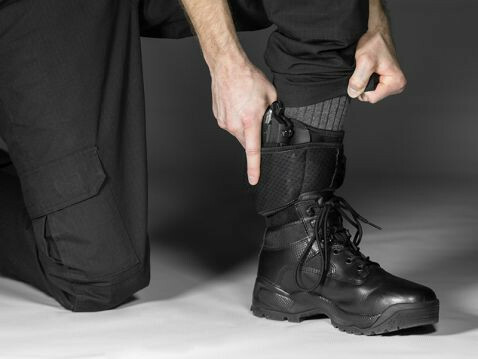 The ankle wrap dickls with the heel strap via a durable polymer insert, giving the holster a solid spine and creating a solid carry platform. 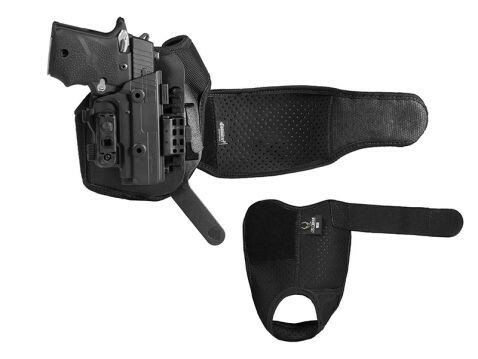 The holster itself is the Alien Gear ShapeShift shell system, with a full outer shell and trigger guard mini-shell, fully wrapping the trigger guard for greater security. 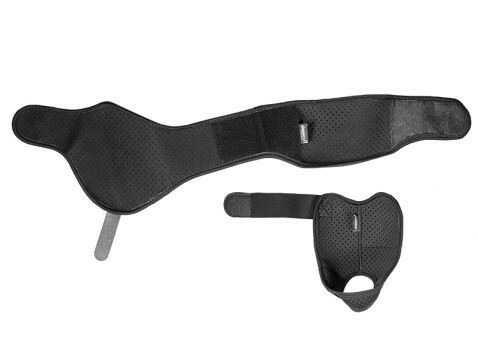 The fit is custom, with a holster shell molded only for your make and model firearm. Dial in the passive retention to your desired setting and never worry about retention. Ride height is also adjustable, so you can set the perfect carry position. The strapping is also ultra-comfortable. 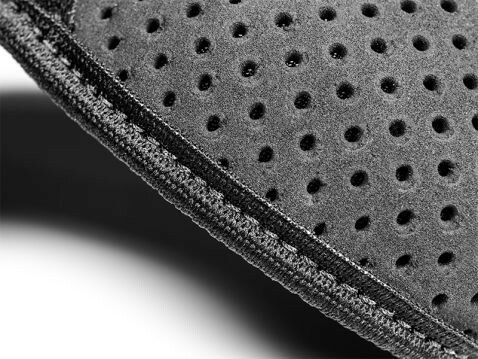 Our Cool Vent perforated neoprene breathes with the skin and wicks away moisture, preventing the chafing and hotspots that other ankle holsters are known for. You also get the benefit of Alien Gear's Iron-Clad Guarantee, which includes a 30 Day Test Drive trial period and Forever Warranty, fully covering the holster for life against any defects or damages.